Neuro-Hypnosis - Description | W. W. Norton & Company Ltd.
Understanding the neuroscience of self-hypnosis for more effective treatment of a variety of conditions. Drawing from over 30 years of teaching, researching, and practicing hypnosis, the authors share systematic instructions, techniques, and exercises for finding your way into a hypnotic trance—or deepen your trance if you’ve already found it. With exercises specifically tailored to address a wide range of concerns, including stress, depression, substance abuse, anxiety, weight management, fears, and sports performance, this book is a comprehensive guide for anyone interested in hypnosis. The authors synthesize and integrate the major theories of hypnosis and provide an overview of the fundamental tools used in self-hypnosis, especially attention, unconscious processing, and suggestion. For clinicians, they provide evidence and practical considerations that therapists need to incorporate hypnosis into their practice. 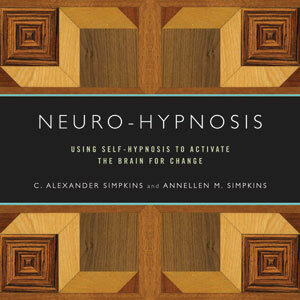 All readers will benefit from the tips, techniques, and exercises throughout which demonstrate how hypnotic interventions can be tailored to each person. 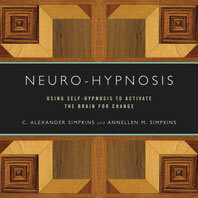 Readers will be inspired to practice at home using hypnotic suggestions that target their specific concerns. Deftly balancing theory and practice, Neuro-Hypnosis provides the tools you need to open yourself to self-hypnosis, experience the vast potential of your mind, and activate your brain for growth, development, and lasting change. Combining new scientific paradigms with ancient wisdom. Meditation for Therapists and Their Clients offers an in-depth exploration of what meditation is, how to do it, and how to use it.